ResMed Mirage FX Headgear is the perfect balance of comfort, performance and simplicity. The slender, lightweight frame provides an open field of vision without sacrificing mask stability. 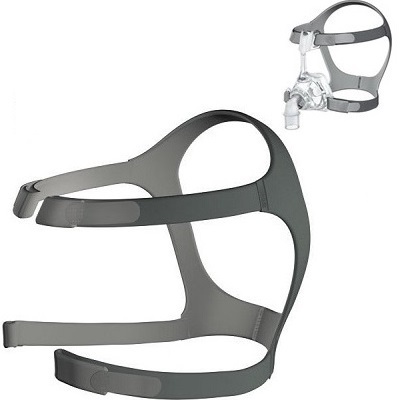 Designed with fewer contact points and a more balanced pressure allocation, it is an improvement in CPAP mask comfort. Butterfly Wing Forehead Support – New flexible design easily molds to position for a better fit. With the butterfly design, only the headgear comes in contact with the skin. SoftEdge™ – Soft headgear designed to provide comfort and stay in place throughout the night.